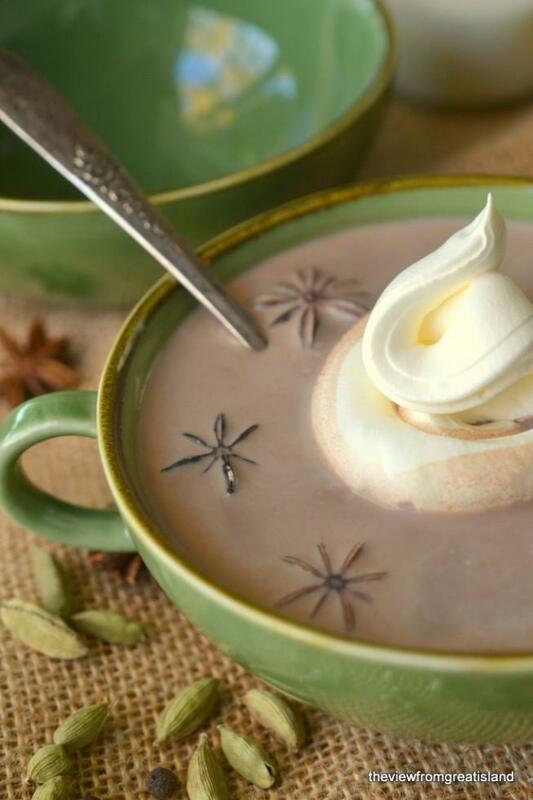 Chai Spiced Cocoa~ a classic thick hot cocoa enriched with the warming spices of chai tea! This thick hot chocolate will warm you up on the coldest day! Pour the milk into a saucepan and put over low heat. Mix the cocoa, sugar, and cornstarch with a little water to make a loose paste. Pour the paste into the milk and stir or whisk to combine. Add the whole spices and let the cocoa slowly heat until it just comes to a simmer. The longer you let it steep, the stronger the spice flavor will be. Strain into large mugs and serve with whipped cream. Garnish with a star anise if you like.